May 30, 2014 /in Toenail Fungus Treatments /by Jenn F.
The scenarios are all too common. The kids are playing outside in bathing suits and a kiddie pool; your little one stubs a toe. You’re gardening in the backyard, enjoying the feel of the cool grass on your bare feet, and then you drop a trowel on the top of your toenail. There are limitless ways to injure a foot outdoors in the summer, but the real danger comes weeks later — when bacteria and fungi creep into the open wound and cause summer-spoiling infection. Don’t let foot fungus ruin your family’s summer plans. Get a SteriShoe UV shoe sanitizer to help prevent infection. May 28, 2014 /in Foot Health & Hygiene /by Jenn F.
This data comes to us from a rather unlikely source — a children’s book! 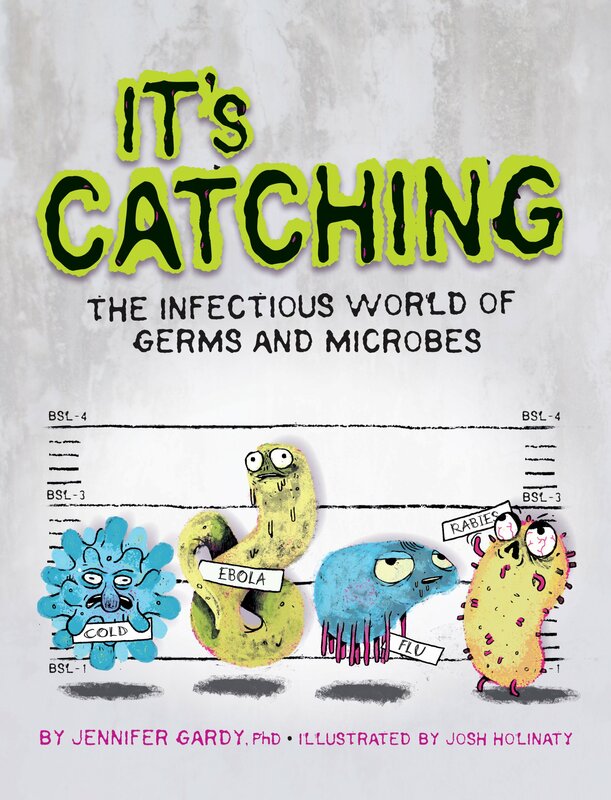 It’s Catching: The Infectious World of Germs and Microbes is written by Jennifer Gardy, head of British Columbia’s Center for Disease Control Genome Research Laboratory, and is geared toward children ages 8-12. Yet, it’s a book that parents will find extremely informative and engaging, as well. Can a children’s book make learning about disgusting pathogens more fun? May 27, 2014 /in Athlete's Foot, Foot Health & Hygiene, Toenail Fungus /by Jenn F.
When I thought of California, I always imagined everyone would be wearing sandals and flip-flops everywhere. But when I visited eight years ago, it seemed that every girl was wearing a pair of Uggs. “Boots? In this heat?” I thought; but, apparently, they aren’t very good in rain or snow, so it sort of makes sense. Despite their enormous popularity, there has been a lot of hating on the widespread popularity of Ugg boots in recent years, for a number of reasons. Some just feel that the boots are ridiculous looking, particularly when paired with shorts or mini skirts. The favored footwear also presents some health drawbacks. People hate on Uggs for various reasons. Some just think they are ugly, but others have legitimate concerns about foot fungus. Reportedly, they cause foot and ankle pain when worn too often, men hate them — and they have been linked to foot fungus! Yuck! Battling foot fungus for months or even years is a frustrating ordeal, but proper shoe sanitization can go a long way in helping you prevent a recurrence, without tossing out your favorite footwear. May 26, 2014 /in Diabetes /by Jenn F.
The Amputation Prevention Centers of America says that nearly 1 in 5 diabetic foot infections require some sort of amputation. “If ulcers can be prevented, up to 85% of amputations may also be prevented,” says Dr. Francesco Squadrito, MD, of the University of Messina, Italy. It’s clear that diabetic foot ulcers many times result in amputations, but why? Shouldn’t we have more options for diabetic foot ulcer treatment in 2014? Foot ulcers usually appear on the bottom of the feet, but may also affect the toes. May 20, 2014 /in Toenail Fungus /by Jenn F.
Thrombophlebitis. Now there’s a big word! This term stems from “thrombo,” meaning clot, and “phlebitis,” referring to a vein with inflammation. This serious complication could result from an ordinary case of toenail fungus. According to Medscape, “Fungal nail infections increase the susceptibility of patients to other serious complications” — including foot ulcers, gangrene, recurrent cellulitis, and thrombophlebitis. Thrombophlebitis can be superficial in nature or strike deep within the veins. May 19, 2014 /in Diabetes /by Jenn F.
Shoe Care Innovations invented the SteriShoe UV shoe sanitizer as an easy way of ridding one’s footwear of bacteria and fungi that could otherwise thrive and multiply into enormous colonies and cause festering foot infections. Ultraviolet light is a safe, natural, and effective method of preventing pathogens from reproducing or doing the body any harm. For people with diabetes, it’s especially important to keep the feet as clean and sanitized as possible. Our microbe-fighting product is one step in preventing diabetic foot infections. Prevention of an ulcerous break in the skin is another important factor to consider, so we’ve compiled a list of pressure ulcer prevention products. HibiClens is a hospital-grade antimicrobial cleanser diabetics can use on their feet.